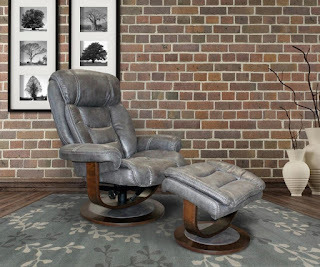 The perfect swivel recliner gift for the holidays! The Triton Collection by Parker House ensures comfortable seating in style. 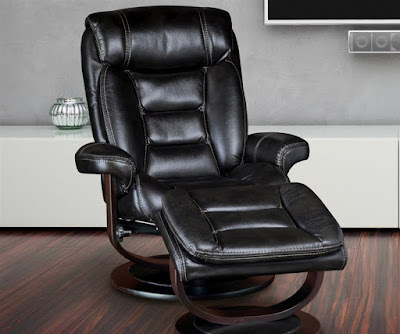 The Swivel Recliner and Ottoman are available in four colors; black, cream, and nutmeg synthetic leather, as well as platinum polyester upholstery. 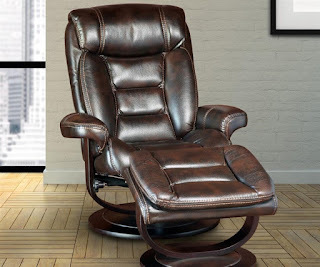 The swivel recliner features adjustable tilt tension control, webbing back support, and swivel seating. 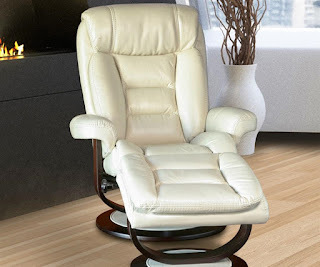 The 2.0 density foam, extra padded cushions offer super soft and comfortable seating.